Arif Nasib has fond memories of his days at SIUE. The campus was fun, active and open, and the university and its professors challenged him every day. His education, he says, has played a key role in his career, which has turned out to be pretty important. Nasib is now the Chief Executive Officer of the Petroleum Institute of Pakistan (PIP). PIP, which was established in 1963 to promote and coordinate the activities of the oil and gas industry in Pakistan, represents the various segments of the petroleum industry, including exploration, production, refining and marketing. PIP consists of 25 member companies and 860 individual members operating in the oil and gas industry in Pakistan, Nasib's home country. After graduating from SIUE, Nasib says he felt a strong obligation to return to Pakistan to share his knowledge and experience. Tipping his hat to the important role education played for him, Nasib has developed scholarships through PIP for students involved in the study of oil. "I spent the best part of my life in America," Nasib says. 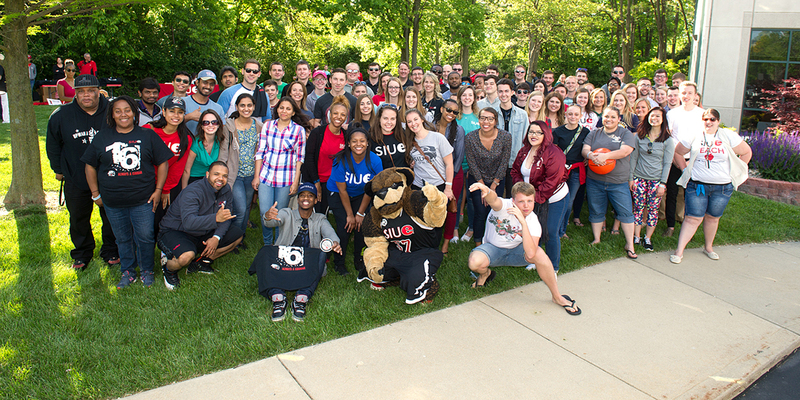 "SIUE teaches, challenges and encourages students. I am forever grateful for my experience." Article originally appeared in the 2008 edition of bWorld.